Our pilates instructors are specially trained physiotherapists, ensuring your program is structured to your suit your rehab needs. We are offering a FREE assessment to all new Clinical Pilates clients! Get your health and fitness goals back on track with Clinical Pilates! Click below to book online… or mention this offer to our receptionist 98195944. There’s a big difference between Pilates and Clinical Pilates! Here at Sportspinal Health we offer Clinical Pilates, using evidence based techniques and exercises, state of the art equipment, individualised programs and providing health fund rebates. All our Clinical Pilates instructors are Physiotherapists and are specifically trained in rehabilitation, strengthening and individualising programs to your needs. We cater to any level of fitness, age or gender. The Pilates Method was developed by Joseph Pilates in the early 20th century. It’s a form of exercise that focuses on core stability, posture, balance, control and flexibility. The pilates method has evolved and today is commonly used in conjunction with physiotherapy and called clinical pilates. There is strong evidence to support the use of therapeutic exercise for managing injuries, particularly low back pain. Recent research also advocates the re training of the deep abdominal and lower back stabilising muscles for people with low back pain. As well as being a useful method for rehabilitation, Pilates is a great low impact fitness activity with minimal stress on joints. Using modern Pilates equipment you will notice the difference in your body after the first session. Before entering classes you will see a physiotherapist for a 1:1 session where you will be assessed and taught the basic pilates principles. After this you will join a class typically having 3 to 4 people where you will do a combination of mostly equipment and some mat exercises. Many of our clients continue with classes as a way of maintaining their core strength and preventing re lapses of their injuries! 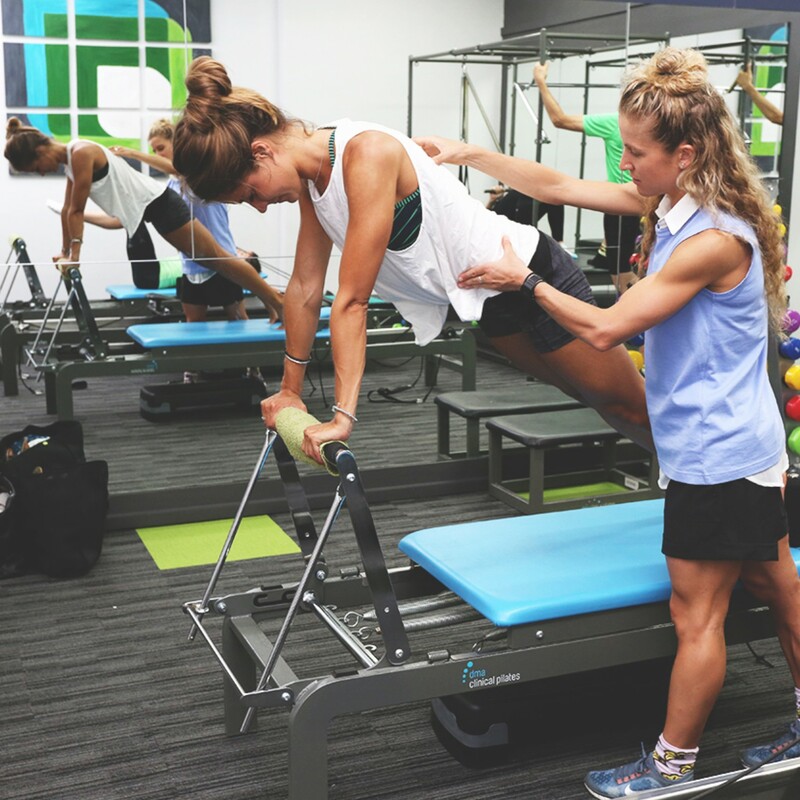 All our Clinical Pilates instructors are Physiotherapists and are specifically trained in rehabilitation, strengthening and individualising programs to your needs.